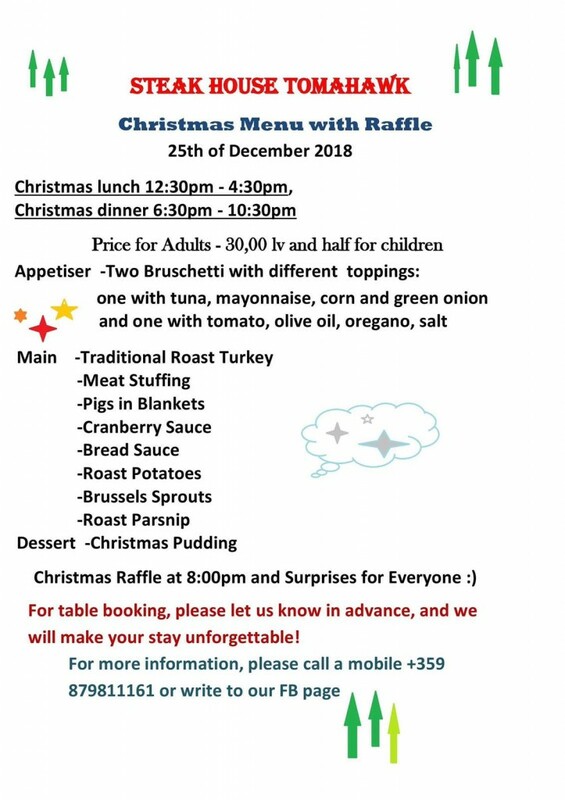 Where to go for Christmas Lunch and Dinner? Christmas is coming. Are you ready for a feat? You are wondering where to eat and spend a good time in Bansko, then here are some examples for you. If you’re staying in your apartment then you can take the stress away and order your food and drink delivery online from BGMarket use discount code: banskoblog for 5% discount. BG Market have two supermarkets in Bansko and one in Dobrinishte. 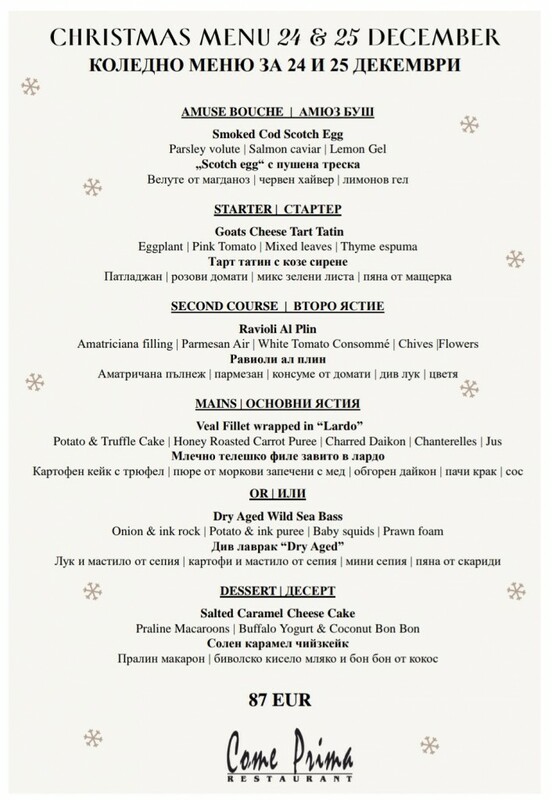 If you want to have a great time out, here are some great places at Bansko to have your Christmas lunch or dinner. Stay tuned for our guide to New Year’s Eve places to eat and party. The Irish Harp has gained a solid reputation for quality food and a warm and welcoming atmosphere from Brian and his team. One of the most famous and luxurious restaurant in Bansko is The Come Prima Restaurant. 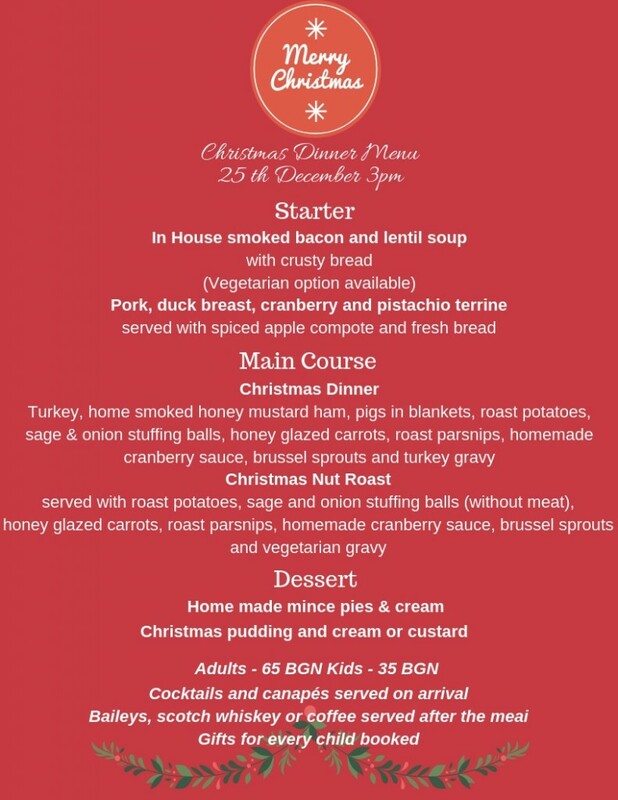 The Come Prima’s Christmas menu includes Smoked Cod Scotch Egg, Goats Cheese Tart Tatin and many more precious meals. Book a table at Bansko App. Tomahawk Steak House is one of the places where you can feel like home. The food is excellent. The whole place is very cozy and family friendly. The host and the servers are professionals, very kind and welcoming. It is located at Street Strazhite 8, Bansko. Smokey Mountain Bar And Grill’s Facebook page. 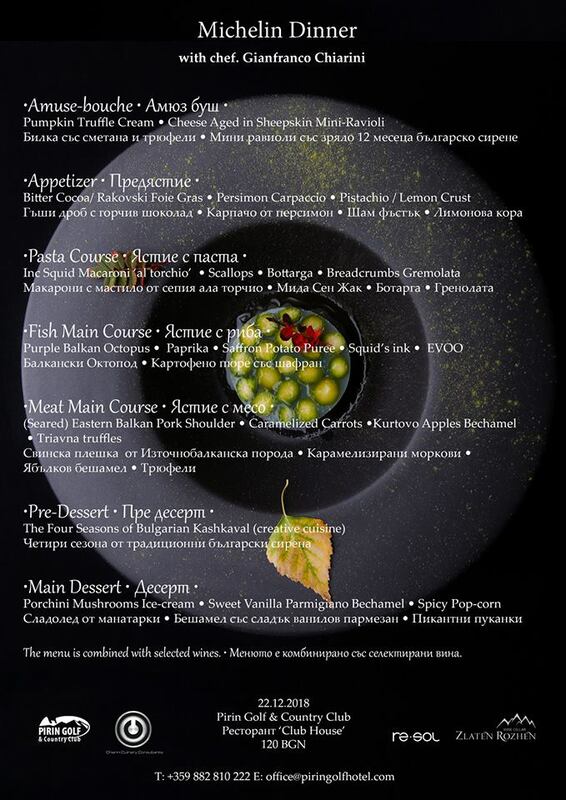 Spoil yourself with a Michelin dinner in restaurant Club House, Pirin Golf & Country Club on the 22nd of December. 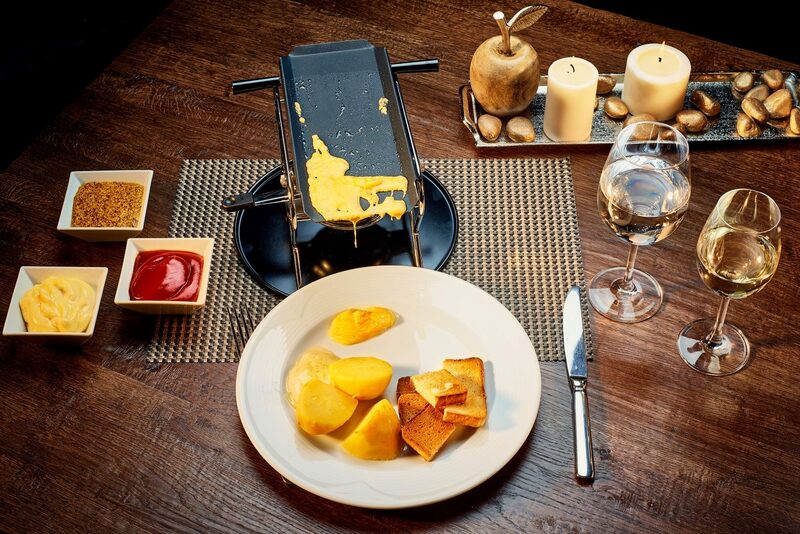 The 7-course menu is combined with selected wines from cellar Zlaten Rojen. Leonardo is one of the best Italian restaurants in the region. They offer fantastic Italian meals. This place is modern, filled with light, very attractive and comfortable. 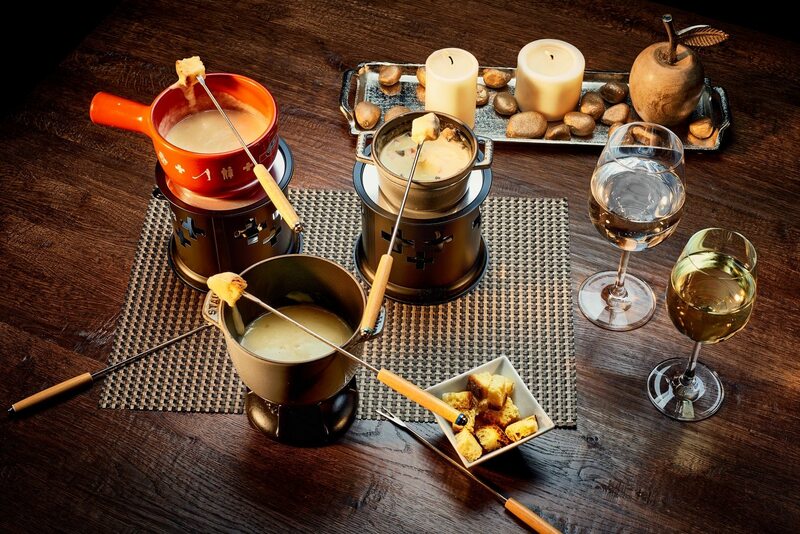 If you want to try something different in Bansko, you can taste real Alpine cuisine in the Fondue restaurant. It is located in Aparthotel Lucky Bansko. 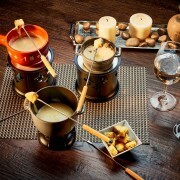 Their specialities are cheese fondue, fondue with oil and chocolate fondue. We are still waiting for restaurants to give us their offers. You can book a table at Bansko app. Free App download and simple restaurant booking.